John the Baptist — revered saint, known for baptizing Jesus Christ in the Jordan River. March 9, the Orthodox Church prayerfully celebrates the holiday of the first and second gaining of the head of John the Baptist. St. John the Baptist accomplished his feat by living in the wilderness and preaching the coming of the Messiah. It was he who baptized Jesus Christ when the time came, and publicly announced that the prophecy had come true, for which he was seized by order of the Jewish princess Herodias. King Herod cut off John’s head and brought it to the dish at his request, and the body of the saint was buried by his disciples. The beheading of John the Baptist is annually celebrated by the church on September 11. In total, in Christian history there are three acquisitions of the head of St. John: the first, which occurred in the 4th century, and the second, which happened a century later, is celebrated on March 9 in nebosokosnye and March 8 in leap years. The third chapter gain, which occurred in the 9th century, is celebrated on June 7th. 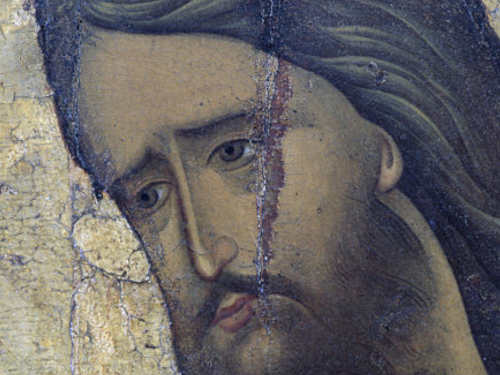 The holiday of finding the head of John the Baptist is celebrated with a long service and reading of canon of praise dedicated to the feat of prayer and the martyrdom of the saint. During the service, I remember how the head of John was found by a pious merchant in a burial on the Mount of Olives and kept by him until his death. Later, a temple was built at the place where the head was found, which stood for about a century and collapsed because of decay. In its place was erected a chapel belonging to the monastery of Olives. At present, the fate of the shrine is unknown: according to some sources, the head of John the Baptist is in Damascus, according to others — in Armenia.